I'm taking part in the Grow Hope Gallery for leading international children's charity World Vision. The charity is collecting together images of what hope means to people - a plant they've grown in flower, family together, a meal that brings happiness. 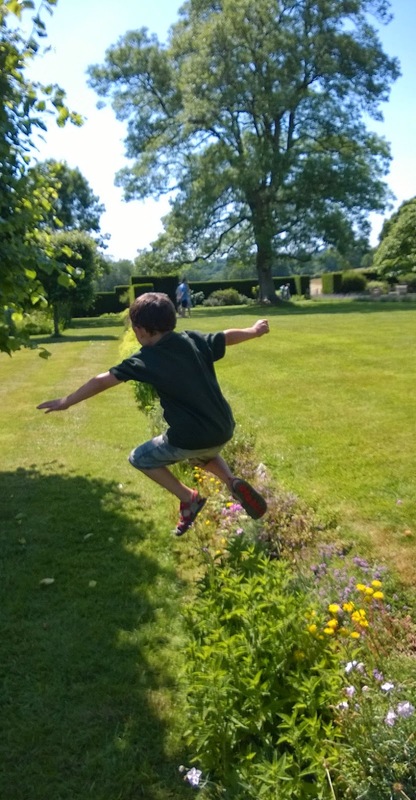 I chose this image of Ollie leaping into a garden, arms outstretched, just for a moment flying. I think we all hope to fly when we leap. I think 'hope' is a word that has been diluted to mean a sort of vapid wish for a future that might be different, 'I wish' 'I hope' but I do nothing to make it happen. No, HOPE is actually a powerful word, it is turning our faces to the sky and believing in good things because, whatever has gone before, right now we are strong and loving and can work together to do great things. “Because that's what people do... they leap and hope to God they can fly!"